Looking for the perfect give for a friend? Or even better, spoil yourself! These pure natural soap products are wrapped in sleek and elegant packaging, sold in distinctive specialty stores in the finest areas as a nouveau and much desired gift item. We tend to forget that natural soap- like substances were used as early as in ancient Babylonian times probably using a very similar recipe. It’s now not an unusual concept to consider these types of unscented natural handmade mineral soaps a specialty gift item for skin and hair care or hand and bath aromatherapy. You can buy these sometimes handmade organic soaps at a cost only slightly higher than regular mass chemically manufactured soaps. You will find any combination of the following on the packaged product label of a true pure natural soap: essential oils, castor oil, olive oil, coconut oil, palm oil, glycerine, cocoa butter, shea butter, herbs, fruits, vegetables, baking soda, pine tar and clay. Read your labels carefully. Be wary of commercial soaps with labels deliberately listing a few natural ingredients added to promote their sale as a “pure” and “green” product.The best quality soaps are made by a “cold pressed” method and contain only the highest quality ingredients. Although lye, a caustic soda, is always used in the production of all types of soaps, natural soaps are produced in such a way as to minimize its abrasive qualities. Natural soaps contain oil, lye and water. The oil neutralizes the lye as the soap is carefully blended. With all the caustic and irritant ingredients eliminated, pure soap natural moisturizers nourish the skin the way no synthetic manufactured soap could do and with no unnatural ingredients there will be no allergic skin reactions such as people experience with commercially manufactured soaps. Obviously it is very important to remember to read your labels carefully! Learn to look for only the wording “natural” or “herbal”, and allow the label to ensure you the absence of dyes, fragrances, and synthetic chemicals. 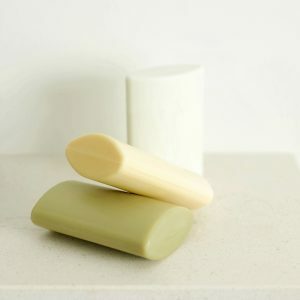 Pure and natural soap can be made or purchased with a different variety of ingredients to enhance cleaning of the body, hair or home in liquid or bar form. There are also soaps available especially for children and pets or those with unusual skin conditions and hair types. The products manufactured are totally pure, natural, and vegan – approved. They are soothing and have great aromas. You deserve it! Treat yourself to the finest in handmade, herbal products. You’ll feel like a completely new person! This entry was posted in Skin Care by admin. Bookmark the permalink. Shea Butter- You’ll Love It!